The controller will be similar to a generic gamepad with a standard number and configuration of action buttons, all games will need to use the controller buttons for input. When the ODK documentation is released it will have the Ouya key mapping info. The controller also uses a touchpad that has single touch support- no multi touch in this version. Disregard using buttons such as menu or volume as they won't be present but there will be a system button that brings up the pause menu from where the game specific settings menu can be accessed. For typing purposes a soft keyboard will be used. Is the Ouya Display HD? How to earn money as an Ouya Programmer? In-App Purchasing API. In-app purchases can either be “entitlements” that are purchased once (e.g., full game unlock or premium item purchase ) or “consumables” which can be purchased repeatedly (e.g., coins or tokens). The ODK will have payment APIs to sell in-app items. Game settings. After a gamer presses the OUYA system button, the game will pause and bring up an OUYA-standard menu that gives a gamer an option to exit the game or enter game settings. You, the developer, will have an API to insert your own custom game settings. Permissions. General permissions that will apply to all apps instead of each app having to have its own permissions. OUYA is not a smartphone so is not designed for multitasking with more than one app running at the same time. Game developers can tune performance confident that full system resources, barring a few basic system services, will be available to them. OUYA games will have no push notifications at this time this means that they will not be developing or offering the services that are required to support push notifications for v1. OUYA’s board is powered by an NVIDIA Tegra 3 processor. Which Tegra 3 processor is used in Ouya? The Nvidia Tegra 3 processor the T33. That means that a developer can build and test on any Tegra 3 Android tablet. For now, OUYA will be using OpenGL ES2 like all other Tegra 3 devices. Will any Unity Store extensions to provide easy access to things like your IAP, any Lobby system and possibly controller be provided? An official pack of high resolution button and controller images for use in development will eventually be provided. 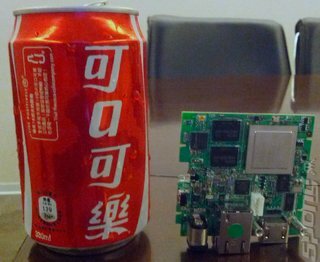 "Last week was a huge milestone for us we received our first development run of PCBs (Printed Circuit Boards) for the console," the company announced on its website. "The first boards came to life without any hitches, and we're now fine tuning software and hardware performance for graphics, wireless, and user experience!"